Toyota’s biggest and most iconic 4WD, LandCruiser, has faithfully served Australians for over 60 years. In that time LandCruiser has grown in both size and stature, assuring its status of ‘King off the Road’. 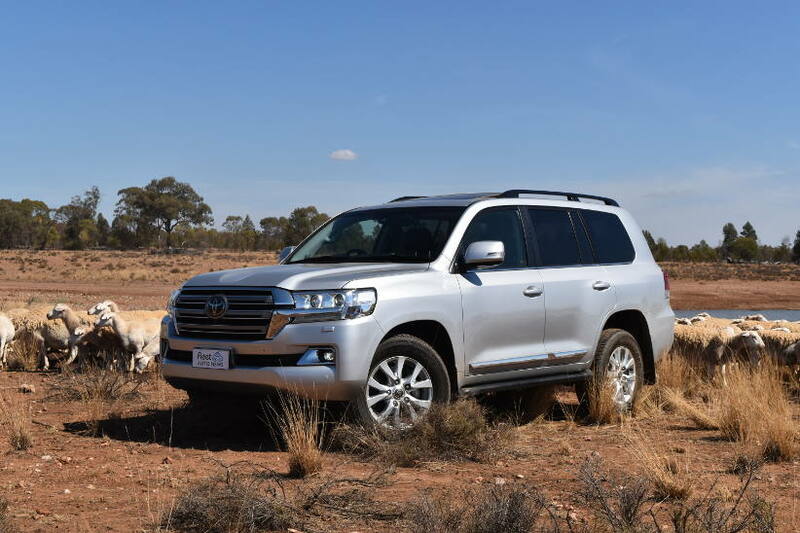 LandCruiser, a big 4WD for a big country – literally! It is nearly two metres tall and wide, and five metres long. It weighs nearly 2.8 tonnes and comes with a choice of two V8 engines (4.6lt petrol 227kW/439Nm or 4.5lt twin turbo diesel 200kW/650Nm) with a six speed automatic transmission. With seating for up to eight people, everything about ‘The Cruiser’ is big. So big, that it feels sometimes that rather than driving, ‘The Cruiser’ just rolls the earth over in whatever direction you want it to go. I drove the Sahara with diesel engine, into Western NSW for this review and honestly, I feel you would be hard pressed to find a more suited and capable vehicle than LandCruiser for regional and remote Australia. For people on the land, or anyone that needs a large 4WD, it is easy to see driving it in this environment why it is so popular, it just ticks all the boxes. Riding on 285/60R18 Dunlop tyres (with full size spare) ‘The Cruiser’ just laps up the km’s. 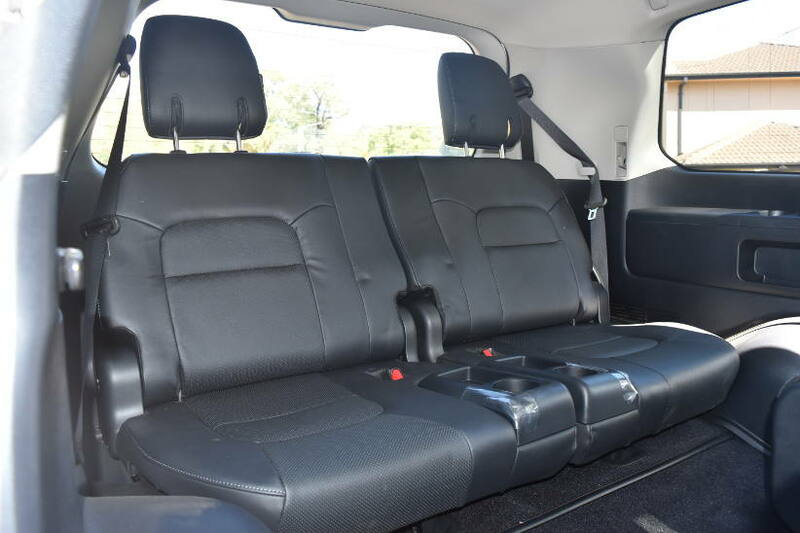 It is big comfortable and easy to drive, allowing you to arrive at your destination as fresh as you started. If you need to tow something, caravan, boat, horse float – another planet! ‘The Cruiser’s 3.5 tonne (braked) towing capacity will handle it with ease. 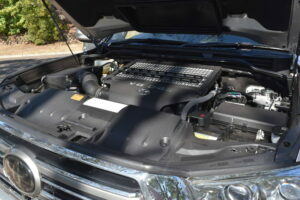 A big 4WD with a V8 engine. You might expect LandCruiser to be stopped at the bowser pretty regularly. But not so, with 138lt fuel tank capacity (93lt main/45lt sub) it has a range of over 1,000km. Fuel economy figures for the diesel are quite respectable at 9.5lt/100km (combined). Toyota Safety Sense+ with Lane Departure Alert, Pre-Collision Safety system with pedestrian detection is standard on Sahara, along with radar cruise control, blind spot monitoring and rear cross traffic alert. All LandCruiser 200 Series have been awarded five-star ANCAP safety rating. Off the road is where Sahara really shines. The five-setting Multi-Terrain Select system, allows you choice of grip assistance levels to match terrain conditions. Crawl control (with off road turn assist) and KDSS (Kinetic Dynamic Suspension System) is for when any remnants of the road have disappeared, assisting with steady progress over slippery and uneven surfaces, whilst keeping optimal traction no matter how uneven the terrain becomes. No matter how savage the conditions become outside, on the inside Sahara is five star all the way. Spacious, comfortable with leather and woodgrain setting the tone. Front and rear seats are heated with front seats ventilated and power adjustable. The third row seat however shows the age of the LandCruiser’s design. Whilst it does fold flat, level with the rear seats folded down, they are on top of, rather than flush with the boot floor; as is the case with newer SUV’s. Four zone climate control allows everyone to choose the right temperature for them. 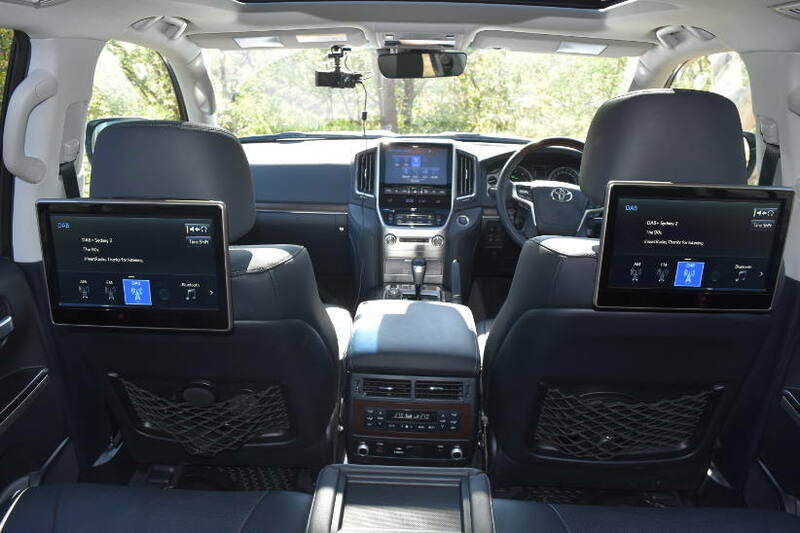 The infotainment system (with DAB and DVD) has a nine inch touchscreen display in the front, and two 11.6 inch screens in the back complete with wireless headphones to keep the kids entertained. Bluetooth connectivity and wireless phone charging feature but only one USB in the front. 12V’s front and rear plus a 240V in the boot. There is even a fridge in the front as well! 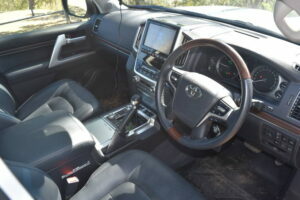 LandCruiser Sahara is a masterful vehicle, extremely well appointed and very comfortable both on and off road. It will take you pretty much anywhere you would want to go and is a vehicle that can handle any task set for it. When it comes to large SUV’s, LandCruiser Sahara still dominates, it truly is Master and Commander.